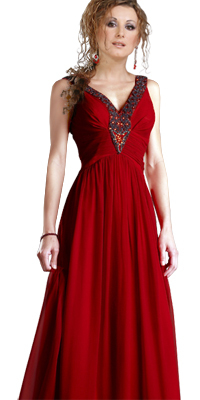 The dress is sleeveless with embroidery work on the outline of the neckline and the bust and the empire waist is ruched. The skirt is A-line and it also has a train at the back. 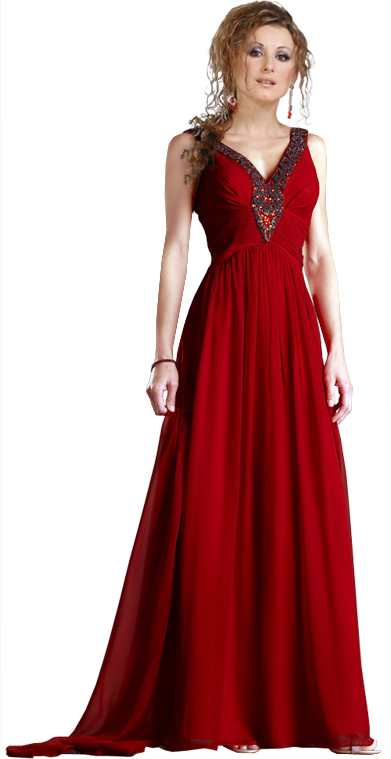 The color red is what adds or rather enhances the whole look of the dress.